Located on the south western coast of Tenerife, Los Gigantes is one of the most beautiful resorts the island has to offer. With the perfect blend of residential and holiday, this resort is quieter than the main tourist areas, making it the ideal place to spend a relaxing holiday in the sun. Without a doubt the most famous aspect of Los Gigantes is the staggeringly gorgeous cliffs. No matter where you stand in the resort you can see these unbelievably tall cliffs, which stretch from the ocean floor all the way up into the clear blue sky. There are several viewpoints on the main road down into Los Gigantes where you can pull over and soak up the amazing sights. However, the very best way to see the cliffs is on a boat. There are many boat trips available – these can be booked at the Los Gigantes harbour – which will take you along the bottom of the cliffs, from where you can appreciate their sheer size and elegance. To the west of the harbour you’ll find a recently-opened beach. Despite its small size, this beach is popular with locals and visitors alike and provides wonderfully soft black sand and a few facilities. Many of the hotels and apartment complexes offer their own bar and restaurant, but if you’d like to get out of your resort, the best place to go is by the harbour. Here you’ll find a great range of international eateries and bars to choose from. Unlike the buzzing Playa de Las Americas which doesn’t get going until the early hours, Los Gigantes is a lot quieter and more laid-back, with establishments generally closing before midnight. There is a small selection of shops available in Los Gigantes – mainly minimarkets and souvenir shops – but if you’re looking for something in particular, you’re best off heading to a bigger resort, such as Adeje or Los Cristianos. Los Gigantes provides the ideal destination for older couples and families in search of a quiet holiday away from the hustle and bustle of daily life. 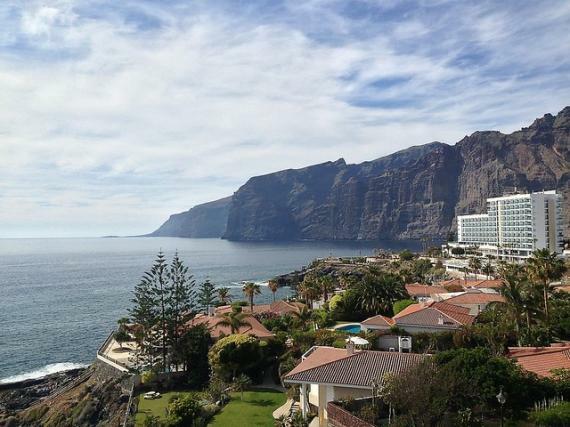 Find information about selected Hotels, apartments and rooms in Los Gigantes to choose the perfect place for your accommodation.